We hope you've had a very Happy Easter. You haven't heard from us in a while, but we have been very busy. We have lots of new articles, the most recent of which was written by my son Andy. He talks about how, over the 3 years since he lost his father, he has gradually come to terms with his loss and learned to treasure the memories of the relationship he had with him. I'm so proud of my son for this beautiful article. Loss of Father We've also been starting sections for teenagers and for parents who are helping teens to cope with grief. We are also currently expanding the pet loss section. For many people losing a pet can be as significant and profound a loss as any family member. For children it can be their first experience of death. Many people appreciate a touching quote or poem or a sympathy card at this time. We have created a range of pet sympathy cards, which will also help us to support this site. We hope you like them. Some of the photos are of dogs we met on holiday in Bali, and we will also donate some of the proceeds from those cards to the Bali Animal Welfare Association who do a fantastic job in helping all the street dogs there. The BAWA have agreed to sell the cards in their shop too! It's a sad fact of life that the website takes up a lot of time and money to keep going and we do need funds. To that end we have put a donation button on the pages of the site, and hope that if the site has helped you or a loved one, you might consider making a small donation. Other ways you can help us is by buying a book from the book section or by getting your sympathy, thank you or greetings cards from our card sections. We will also shortly be starting a sympathy gift store with lots of great recommendations for memorial gifts or keepsakes. Hope you'll come back and visit then. 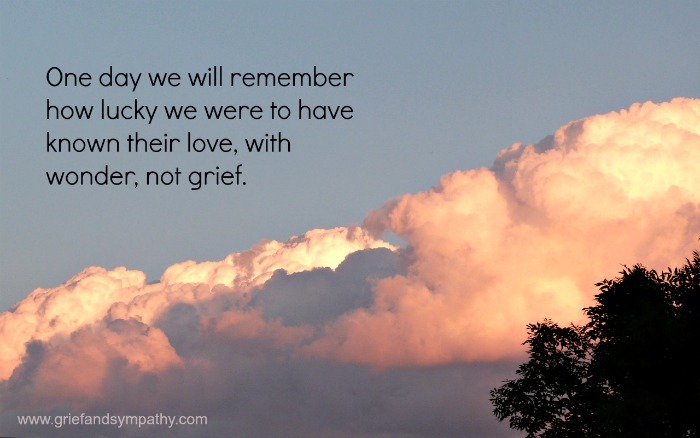 We hope that you are coping on your grief journey. If you feel you have something to add, or contribute, please feel free to send us your writings, poetry or art if you'd like to share it with others on the site. Meanwhile, if you need help, read through the pages on the site, or send a question to us and other readers on the Bereavement Forum. We hope you find peace and comfort.